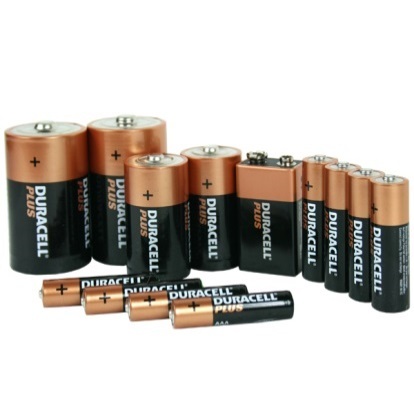 Household hazardous waste (HHW) can harm the environment, especially when disposed of incorrectly. To make getting rid of these materials safe and easy, the Charleston County Environmental Management Department has nine convenience centers where Charleston County residents can drop off their HHW. Please note, convenience centers are available to Charleston County residents only. If you are a business looking to recycle any of the materials listed below, please visit Charleston County's Business Recycling webpage for more information. It is important to recycle electronics rather than throw them away because they often contain valuable resources such as precious metals, gold and silver, and more common metals like aluminum and copper. Recycling electronics helps to recover the materials that, although valuable, can be harmful to the environment. For more information about electronics recycling, please visit the SCDHEC's website. 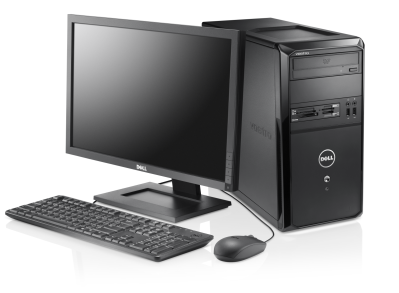 Recommendation: Before donating or dropping off your computers for recycling, delete your personal information.We suggest donating working electronics to charity. Kitchen and bathroom cleaners, glass cleaners, bleach, ammonia, drain openers, oven cleaners, rug and upholstery cleaners, and silver, copper and chrome polishes. Weed killers, Insecticides, fungicides, slug bait, rose dust, mothballs, flea powder, insect and tick repellents, rodent baits, wood preservatives, lawn fertilizer and pesticide combination products. 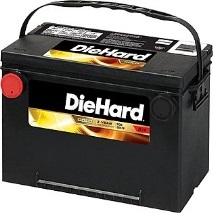 Household batteries, car batteries, battery acid, and NiCad batteries. In South Carolina, residents are required by law to recycle used motor oil. 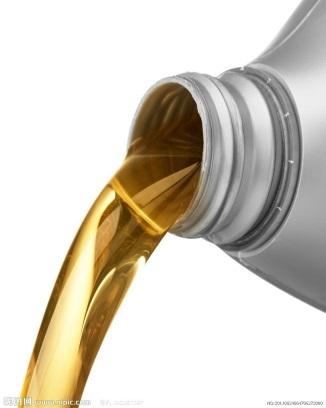 If you get oil changes at a dealership or automotive store, the business recycles the oil on-site. If you change your own oil, you must recycle it. Never throw used oil in the trash, dump it on the ground or into a lake, river, sewer, septic tank or storm drain. Used motor oil is insoluble and contains heavy metals that can contaminate water supplies, harm ecosystems and threaten public health. One gallon of used motor oil improperly disposed of can pollute one million gallons of drinking water - enough to supply 50 people for a year. One pint of improperly disposed of used motor oil can produce a one-acre slick on the surface of a body of water. Old gasoline is accepted at the Bees Ferry Convenience Center ONLY. 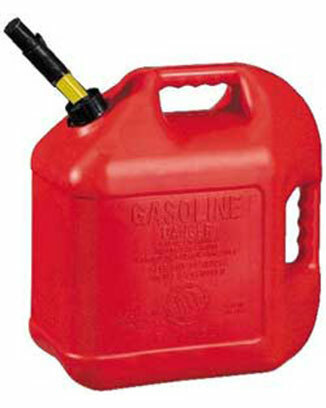 Only gasoline will be accepted; no gas/oil mix, please. Compact Fluorescent Light Bulbs, or CFL's, have become widely popular for their environmental and financial benefits of saving energy. Although beneficial, CFL's do contain a small amount of mercury, which is hazardous to humans and the environment. Disposing of CFL's correctly is crucial. Charleston County recycles CFL light bulbs, and residents can bring their old CFL light bulbs to one of the eight Convenience Centers located throughout the County that accepts CFL's. The emission of mercury into our environment is very dangerous and can cause health problems amongst humans. Dispose of your CFL bulbs correctly and safely by ensuring the bulbs do not break. For more information on how to correctly dispose of CFL bulbs, contact the Environmental Management Department at (843)720-7111 or visit the U.S. Environmental Protection Agency's mercury web page. Why can't CFL light bulbs be picked up with curbside recycling? Curbside collection cannot not pick up CFL's at the curb because CFL's have a high probability of breaking and releasing mercury into our trucks. Drivers exposed to mercury are in danger of negative health risks. Like for all hazardous materials, we need each resident to act responsibly and bring them to Charleston County's Environmental Management Convenience Centers. 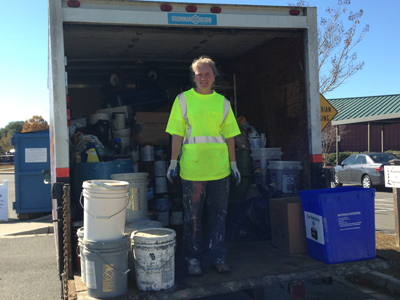 Water-base (latex) or oil-base paint, paint thinner, rust remover, turpentine and furniture stripper can be recycled at any of Charleston County's nine convenience centers.